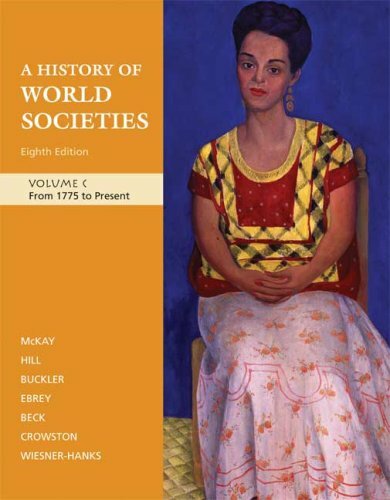 More than any other text, A History of World Societies introduces students to the families, foods, workplaces, religions, and diversions of peoples of the past through lively, descriptive writing and extensive primary sources that give voice to a wide range of individuals. 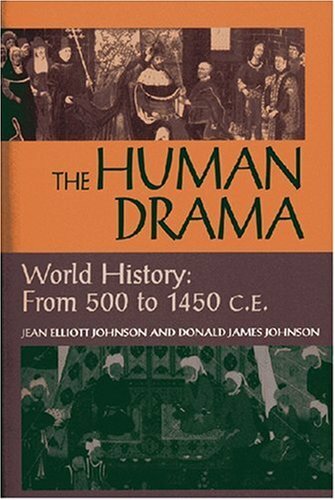 This hallmark treatment of social history combines with strong political, cultural, and economic coverage and a clear, easy-to-manage organization to provide students with the most vivid account available of what life was like throughout human history. The Eighth Edition welcomes to the author team Merry Wiesner-Hanks and Clare Crowston, experienced world-history teachers and highly regarded scholars who bring additional attention to gender and cultural history. It also expands the text's global perspective by strengthening coverage of non-Western topics and comparisons among world societies. A fresh, colorful look and a completely new map program showcase a narrative that the authors judiciously shortened for even greater power and accessibility. Bedford/St. Martin’s is proud to have recently acquired the stellar McKay franchise in World History and Western Civilization. These wonderful books fit well with our publishing philosophy at Bedford/St. Martin’s, emphasizing innovation, quality, and a focus on the needs of students and instructors. We hope to contribute to their future success with the care and attention to detail we give every book we publish. Rather than overwhelm students with minutia, the primary goal of World History in Brief is to present the big picture by highlighting the major developments in world history. The text emphasizes the global interactions among major civilizations, enabling students to compare and assess changes in the patterns of interaction and the impact of global forces, such as migration and technological exchange. The compact size of this text allows instructors to take advantage of supplementary readings in their courses. I was never good at History classes because the material could never keep my interest. 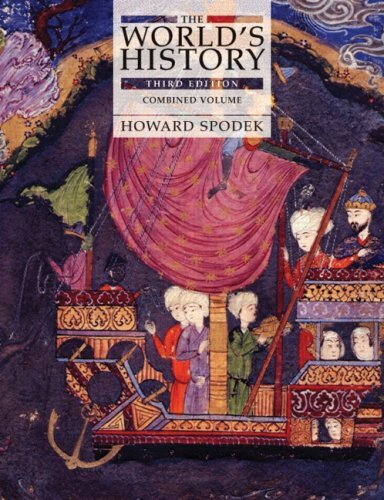 This book is amazing-- allows me to learn all the material that I, a non-History major, need to know. I enjoy reading this book and feel that it has sparked interests within myself, that I never thought could be there. 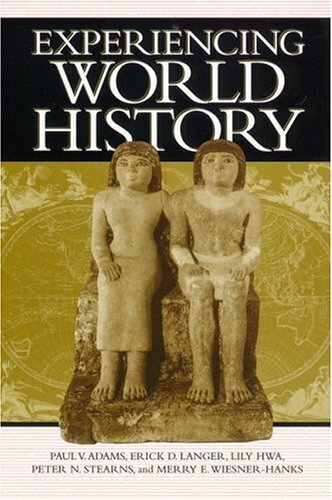 Peter Stearns' World History in Brief provides an unbiased conceptual framework for understanding the relationships among human civilizations and evolution of culture over the past two or three millennia.The well-organized chronological tour of history explains how "Five early traditions--in the Middle East . . ., Mediterranean . . ., India, China, and Central America--ultimately were replaced by seven major patterns of government, society, and culture . . . in . . . East Asia; India and Southeast Asia; the Middle East; Eastern Europe; sub-Saharan Africa; Western Europe plus North America; and Latin America." VI. Contemporary World, 1914-present (180 pages for an overview of today's seven major civilizations). 1. Role of Infectious Disease:Over the course of history, urban societies (initially, agricultural villages) acquired a biological advantage over rural peoples (nomadic hunters and gatherers) who chose to remain in the surrounding hills and valleys.Higher population densities in the villages and cities naturally brought about more rapid exposure to viruses and bacteria, in turn leading to higher immunity against disease.Consider how up to 80 or 90 percent of certain native Indian populations in North and South America were wiped out by small pox and a host of other diseases carried inadvertently by early European settlers and conquerors arriving in the Americas between the 15th and 18th centuries.Unintentional biological warfare actually played a larger role in defeating the native Indians than European guns and metal weaponry. 2. Humans Are the Most Violent Animal:Humans have killed a greater number of their own species than any animal that has ever walked on earth.By way of example:a) Around the 14th century, the Aztecs sacrificed 20,000 people (0.1% of their population of 20 million) at the dedication of one of their great pyramids.Why?To appease the gods; b) In 1898, using superior weapons (early machine guns), Britain conquered the Sudan.In the words of Winston Churchill, "soldiers were interested in the work . . . bullets were shearing through flesh, smashing and splintering bone . . . valiant men were struggling . . . suffering, despairing, dying. "Resulting death count:11,000 Muslim troops, versus 48 British soldiers.Why?Simply put, that was Western imperialism at work; c) In World War II, 60 million people (about 2.5% of the world's population in 1940), including 6 million Jews in Nazi concentration camps, were killed.Why?How about just a manifestation of the inherent and ironical inhumanity of humankind? 3. Policy Decisions Matter:Conscious, purposeful and deliberate "policy" decisions made by governments and societal leaders oftentimes produce divergent outcomes for neighboring nations facing similar opportunities.Striking comparisons are:a) British settlers in North America, who valued individual rights, liberties and self-sufficiency, versus their Spanish counterparts in South America, who chose to maintain a more colonial-style economy dependent on exports to developed Western nations; and b) China's relative economic stagnation in much of the 20th century, despite its remarkable cultural continuity and economic prominence over thousands of years, versus Japan's meteoric rise to world industrial giant, despite its tendency to look towards the Chinese Middle Kingdom and "borrow" culture, political institutions, religion and technology in prior centuries--though in recent decades the economic trend again appears to favor China. Unique among history textbooks, World History in Brief offers a refreshing, pattern-oriented viewpoint for "getting" the "big picture" of cultural change alongside continuity through the ebb and flow of civilizations over time.The disturbing and inescapable reality, however, is that, as the author states, "despite new and important international linkages, our world is also marked by fundamental, often agonizing, divisions and diversities. "Let's hope that our compassion for our own species and our understanding of our place in the world's ecosystem exceeds the characteristic brutality we (Homo sapiens sapiens) employed to exterminate our closest evolutionary competitors (Homo erectus, Neanderthals and similar early human species) following our arrival on earth some 40,000 years ago.If only our modern inclination to measure "progress" through GDP growth does not prematurely lead to our demise prior to the end of another 40,000 years of human civilization. . . .
NOT the my history lab version! This book does not come with the my history lab student access code card as stated in the title. This is an excellent book that manages both to inform and entertain.If you've forgotten much of what you ever learned about the subject, this book will bring you right back up to speed.Wonderful! Pretty good for a history book! Cheap Price; book was in good shape; included the cd (w/ no scratches).I am happy. The book was in great condition when I got it, but came in awful packaging from some military school and has some writing in pencil in it.Still, the cd was unopened, and it's practically new. just not quite as promised. bought for school & came the first day of school. the next time, in order to avoid the heart attack & anxiety I had, I will specify shipping preference. 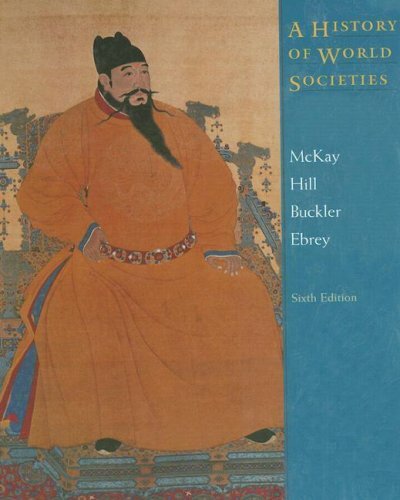 I am a college instructor using this book in a ten-week history of the world course. I have never had such a positive experience with a book. Students are absorbed in the author's perspectives, in the little details, and in the sweeping historical patterns. Fernandez-Armesto focuses on human interactions with the natural world as the defining element in the evolution of civilizations, and his writing is both erudite and original. This book was ordered for a needed history class.It was easy to read and understand.The book was also well-maintained by the seller.It was great.Thanks!! 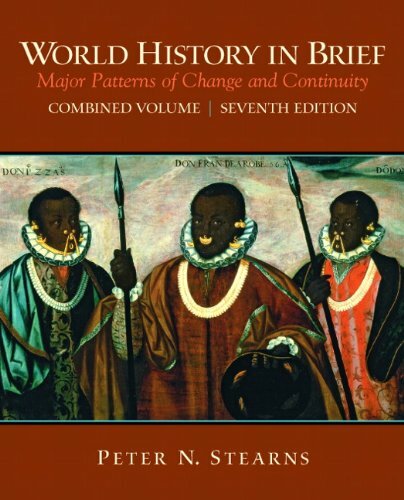 Similar to one other reviewer, my World History class in ninth grade used this textbook to supplement the lectures in class. Before acquiring this book, I was extremely enthusiastic about the class. 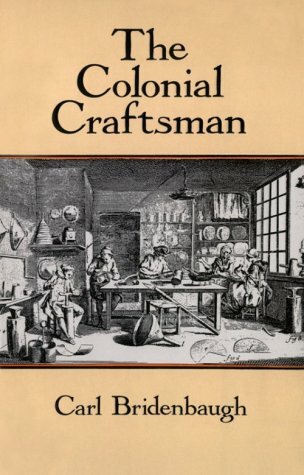 I have always enjoyed world history and I aspire to earn my PhD in world history, but this book made the class utterly mundane. Firstly, it is almost impossible to easily read this book. Duiker and Spielvogel attempted to put way too much information into this book than is possible. They try to cover about 250 thousand years of human culture into 505 pages. As well, their writing style is simply factual, there is no sense of flow or independent thought....just dates. I obviously realize that this is a factual book made for a classroom, but the content is way too dry for a high school or college student. It is also my opinion that the authors spend way to much time recollecting history that is not quite as prominent as other parts in the book that are given in tens of pages. For example, the two allots post-Mongolian China a whole chapter. How much does Ancient Egypt get? A mere seven pages. I want to be completely honest with you. If you are a history enthusiast like my self DO NOT BUY THIS BOOK. 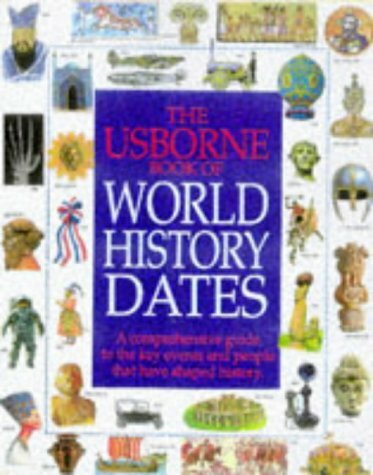 Check out the world history books by publishers such as Norton and Oxford. Similarly, If you are a history teacher or professor, I recommend whole-heartedly that you do not use this text for your class. Couldn't have asked for a better transcation. Super fast shipping.The item purchased was in excellent condition.I would purchase from this seller again. I actually get into this textbook. I have never had a great interest in history in general, but this has woke up the latent historian in me. Even as a text, I find it easy to read and interesting. 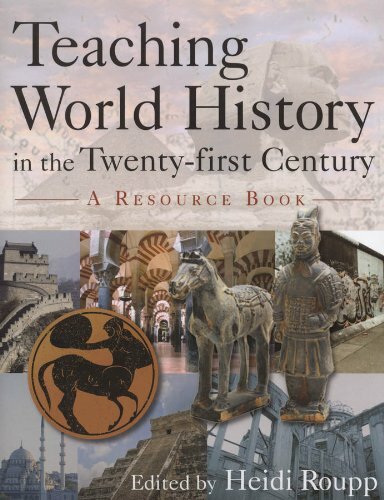 Covering early societies, the classical, postclassical, and modern periods, and the 20th century, and blending the great advances in historical research over the past quarter century, Experiencing World History represents an important addition to the teaching of world history. 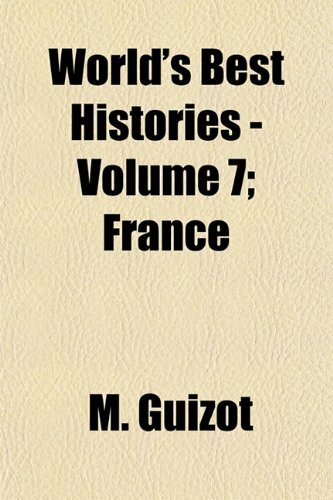 Focusing on major issues in social history in the context of world history and divided into five chronological sections that highlight the mixture of change and continuity, the volume traces key aspects of society over time, among them gender; work and leisure; state and society; culture contact and population patterns. 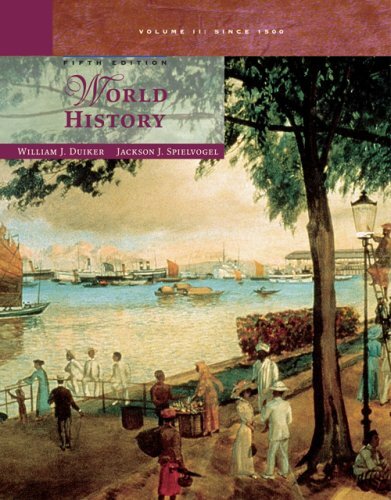 This book includes 2 full-length practice AP World History tests. All of our practice questions are just like those you’ll see on the actual exam, and we explain how to answer every question. The product is amazing but it would be better if the shipping was faster. I don't appreciate having to wait a full month before getting the product. 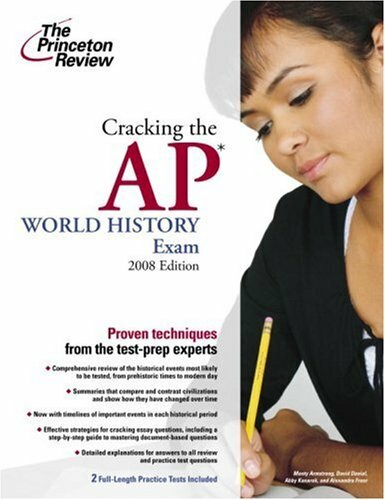 I teach AP World History, and I require all of my students to purchase this book before class.No product can ever "crack" an AP examination, but as a supplemental study aide "nutshell," this one - and the one by Patrick Whelan - stand out.While not suitable for use in the classroom, it will provide students an invaluable study aide for not only the AP exam itself, but classroom examinations as well.However, since changes in this field have been coming quickly of late, I would use one that is not more than three (3) years old relative to the academic year in which the class is taken. PLEASE NOTE:The College Board is changing the format of the AP World History class starting academic year 2011.This book, and others like it published prior to that date, will likely NOT be as helpful without major revisions.This is not to say that the practice examinations and the study nutshells will not be of use, but their usefulness in terms of exam preparation will likely be, of course, more limited. Wanna a 5? Buy This. I took the AP World last May. I mainly studied this book and 5 Steps to a 5. And guess what? I got a 5! Honestly, this book is good to study. It's detailed and organized well. However, the book lacks in actual AP World questions at the end of their sections. Therefore, you have to make sure you're paying attention at all times. The book has cheesy jokes to keep you alive though. Besides not having any practice questions, the tests in this book are nothing like the real thing. Princeton's tests are MUCH HARDER. I'd recommend both Princeton & 5 Steps to a 5, but if you can only choose one, go with 5 Steps to a 5. The book actually has practice questions and is closer to the real thing. I'm a junior who took this test when I was a sophmore last year, and it helped a lot. It's almost a comical relief when my class read its titles of "Old Stuff" "Really Old Stuff" "Recent Stuff" as its titles as oppossed to those long, complicated things. And,I GOT A FOUR ON MY TEST. All thanks to this Bible. 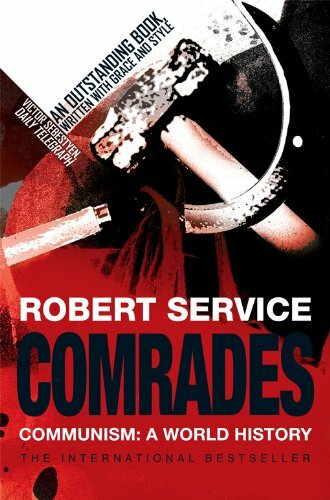 Robert Service's critically acclaimed and compellingly readable history of world communism. Almost two decades have passed since the collapse of communism in Eastern Europe and the USSR. Robert Service, one of our finest historians of modern Russia, sets out to examine the history of communism throughout the world. His uncomfortable conclusion -- and an important message for the Twenty-First Century - is that although communism in its original form is now dead or dying, the poverty and injustice that enabled its rise are still dangerously alive. Unsettling, compellingly written and brilliantly argued, this is a superb work of history and one that demands to be read. I bought this book in a local bookshop just before finishing Young Stalin and started reading it a few weeks ago. I must say it is a breathless read. I'm very curious about the real story of communism in Russia and other countries because I only remember official USSR communist party interpretation from my school years in 80s. In Moscow University we also had a subject called the History of Communist Party of the Soviet Union (KPSS) and the textbook was called "kirpich" (a brick). Robert Service, well-known conservative historian of Russia, has undertaken a difficult task in attempting to write a concise and accessible history of Communism as a political reality. In "Comrades", he has succeeded remarkably well. The most important issue in any such history is of course that of the author's own political viewpoint, and this can easily lead the undertaking off the tracks by excessive zeal one way or another (I am myself a convinced Communist, which must be taken into account in this review). Service, as a conservative Briton working at the Hoover Institution of Stanford University (itself a well-known right-wing think tank), cannot be accused of having any sympathy with Communism whatsoever, and he makes this clear enough throughout the book. Not just is the general interpretation severely negative with regard to the Communist experience, and his commentary implying that it was dangerous lunacy to even attempt it anywhere in the first place, but he also regularly uses fairly strong hostile language about it, such as the repeated comparisons of Communism with an "infection" and a "virus" and so forth. Nonetheless, it must be said that Service has done a surprisingly good job of sticking to the facts and trying to be as even-handed as he can probably muster. The most important thing here is that he is not guilty of the historiographical crime of omission, in only depicting negative or dubious episodes in Communist history, like the old Cold War school used to do, but he actually also spends time detailing improvements, valid arguments and realistic motives on the part of Communist parties and leaders. This is not to say that Service is ever convinced by them, and he makes this clear enough, but the fact that he did so greatly improves the utility of the book. What's more, despite it being a hard task to summarize Communism in just a few hundred pages without unbalancing the story or leaving out essential elements, Service has done this as well as anyone could demand. Although the focus is still heavily on the USSR and to a lesser extent China, as one could expect, there is plenty of attention also to the Communists in Western Europe, in Latin America, in other Asian countries and even in Africa. There are two chapters dealing with Cuba, and the Warsaw Pact nations are described at length. Service's background to the history in the form of his analyses of Marx&Engels and Lenin are reasonable, and he takes care to distinguish where applicable between the general viewpoints of Marx & Engels, Lenin and Stalin respectively, as well as between Stalin and Mao and their successors. That said, not all is well. Service relies far too much on dubious and explicitly right-wing sources, some of them wholly unreliable or false (Chang & Halliday, Li Shizui, Conquest) or seriously slanted (Gaddis, Courtois etc. ), while modern 'left' sources such as Fitzpatrick, Khlevniuk, Lewin and Meisner get short shrift relatively. Although he makes few real errors, there are still some discredited stories included, and especially near the end of the book his anti-Communism gets the better of him sometimes. Service also has little understanding of economics or the policy questions involved, and often just parrots Hoover Institution type viewpoints with little comprehension; he seems besides to have concluded a priori that even social-democratic policy necessarily leads to crisis and failure, despite at the same time insisting that the social-democratic road is supposedly the only way to achieve reforms as opposed to Communism. One wonders then if the people in the developing world are supposed to overthrow their elites by means of conservatism, according to the lights of Robert Service? Has liberalism or conservatism ever achieved this since 1848? Those sorts of greater questions of political and historical significance are too easily ignored, which makes Communism appear more as a stubborn aberration than it is. 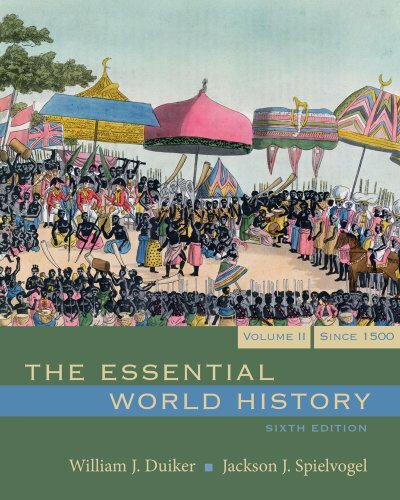 A true exploration of world history, The World's History links chronology, themes, and geography in eight units, or parts of study, each emphasizing a single theme—origins, cities, empires, religion, trade, migrations, revolutions, and technology. Geographically, each part covers the entire globe, though specific topics place greater emphasis on specific regions. 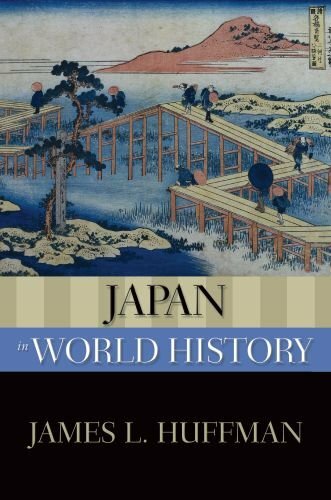 Rich in primary sources—both written and visual—and in data and interpretation, the new edition addresses how historians form, debate, and revise our historical understanding of the world, shows the value of other disciplines in understanding history, and helps students begin to assess their own place in the ongoing history of the world. If you are looking for a copy of this book and can wait until the END of a school year - do it!Prices like I got this book for do not come along often, and it is usually during the summer. 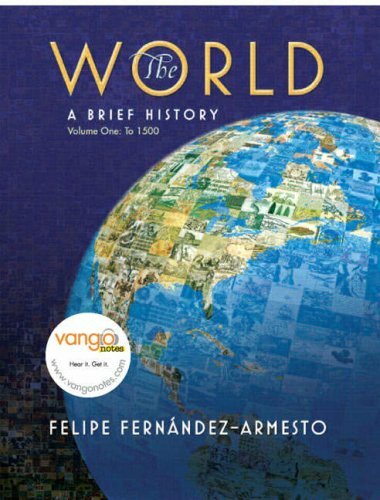 This is an excellent review of world history.My high school daughter purchased this for her AP World History class, and we will keep and use it as a reference book for the home. The book is great...I'm using it in a college course and I like the layout and style. However, I paid for a NEW copy of the book, and Amazon sent me one that was not new (writing and shelf wear inside).They did refund a portion of the price I paid, but still, I would have liked to have resell this when I'm done but what I get for it will be less due to the prior usage.Not cool. 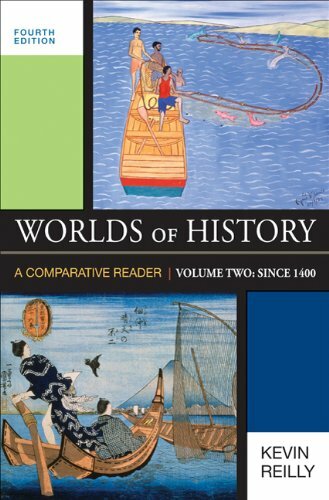 Compiled by a widely respected world historian and community college teacher, Worlds of History fosters historical thinking through thematic comparisons of primary and secondary sources from around the world. Each chapter takes up a major theme — such as patriarchy, love and marriage, or globalization — as experienced by two or more cultures. "Thinking Historically" exercises build students’ capacity to analyze and interpret sources one skill at a time. This flexible framework accommodates a variety of approaches to teaching world history. The latest edition offers a broader range of sources with an even more global perspective. This reader does what it's supposed to do: it's filled with a TON of primary and secondary sources, covering nearly every topic of world history from 1400 on. However, I did not like it one bit. The documents are just incredibly dry and unenjoyable. Particularly with the older documents, it was torture to suffer through the anachronistic language and pull relevant facts and themes from it. As a student, I didn't have much of a choice which book was assigned to me, and I got stuck with Reilly. I would have much preferred a standard textbook. I am sticking with my 4-star rating though. The documents are technically very educational, and it's probably a good thing to be forced to read the Mayflower Compact and whatnot. Also, I'm sure I'm biased against it - I had no great love for historical documents to begin with. Someone more passionate than I will probably find this book pretty decent. There are half a dozen or more 'readers,' collections of primary sources and secondary articles, available for world history courses.A few are very good, but most are pretty much just collections of sources with little else to recommend them. I've used five of these books in my classes over the past six years, and Reilly's "Worlds of History" is the one I prefer.Why? It offers an excellent selection of useful primary sources from all eras and regions.Some are classics like the Code of Hammurabi.Others are unusual and interesting like descriptions of the court of Genghis Khan or eyewitness accounts of what Tenochtitlan (future Mexico City)looked like when the Spanish first arrived. Many of these accounts are fascinating. Equally importantly, the translations are good, modern translations unlike some sources in other readers which are older and out of date.The secondary accounts are judiciously chosen articles which add immensely useful points of view to the standard textbook story students will be reading. Each new edition has removed a few readings (Not always poor ones and some I wish had remained), but those added have been excellent. Reilly avoids the endlessly detailed introductory material of a few other readers which I've found detracts from the sources themselves.Often, a brief (half-page) introduction is all a student needs to a document.Reilly does include brief chapter introductions and chapter-ending thoughts which are useful.But, for the most part, the focus is clearly on the documents and articles themselves and not on the editor (Reilly) constantly "interrupting," which is refreshing, I find. 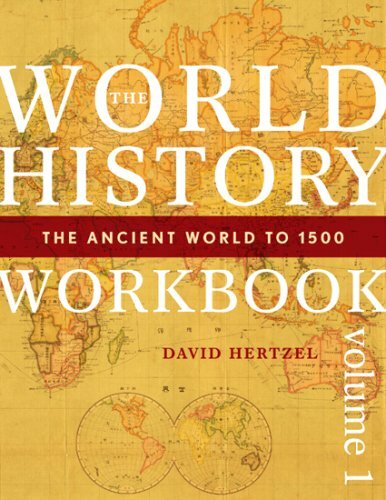 This is the one book to get if you are given the task of teaching a world history class, especially a World History Advanced Placement (WHAP) class. This has ideas for everything for the first day of class to bringing people from the community to how to use current events. Instead of detailing all of the wonders of the book, go to the table of contents on the M.E. Sharpe publisher website. All brought to you by actual teachers and Heidi Roupp, editor, who came up with the idea of the WHAP lesson jamboree (send a lesson to Heidi and a few bucks and she sends you back the collected lessons - genius!). This comprehensive, mainstream text takes a social approach to history, using political history as its basic framework. It is known for its readability, its attention to recent scholarship, and its new historical interpretations. The new edition features increased coverage of global topics. Material on the Middle Ages has been consolidated to allow more room for non-Western coverage. Chapter 27 from the previous edition, which covered both Africa and Asia, has been split into separate chapters on each region. Chapter 11 from the previous edition—on Asia and the Mongols—has been divided into separate chapters on East and South Asia. New! Two-page "Global Trade" boxed features investigate a variety of important products and commodities, including pottery, tea, slaves, and oil. The feature presents historical background on the commodity, traces its trade throughout the world, and shows its impact on other cultures. New! New pedagogy in the Sixth Edition includes key terms, chapter outlines, and chronologies. New! About one-third of the maps, illustrations, "Listening to the Past" primary source features, and "Individuals in Society" biographical features in this edition are new. Product was received quickly and in great condition, better that expected at a good price. 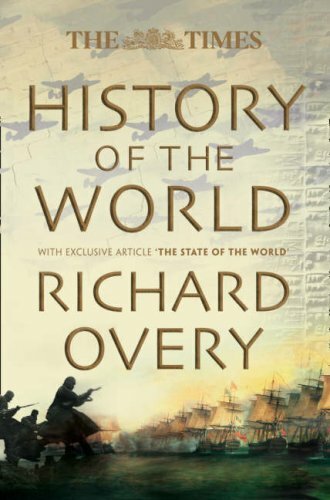 This is by far not the best World history book out there, but as a text attempts to cover other parts of the world better than many. Still heavily slanted toward the western world, and still refuses to give the Great Muslim Empire the credit it's due, still relatively readable. This book was purchased for use with History 100 and History 101 at Miramar College, part of the San Diego City College system.The instructor for these two sections is Mr. Garrett Booker.If you intend to take both classes which together encompass roughly 10,000 B.C. up to modern society, this is the book to buy rather than two seperate books that will cost more. Never has a book so small, so inexpensive, and so unimposing offered so much in my history of reading books, especially on history. Although slightly Eurocentric, and rarely using derogatory language when discussing Islamic movements, it's slights are forgivable in light of it's overall superb level of accuracy and clarity of presentation. The second volume is a little better developed than the first and less compact. 'The Anchor Atlas of World History, Volumes I and II' are two references evey intelligent reader should have, as soon as they have gotten their unabridged dictionary. I am a real wonk for maps, and for me these volumes are like a free pass to the candy store. This piece may really be more of an argument for why you really need these books than any critique, primarily because that for the average book buyer, there is very little with which to compare these books. It should be no surprise that these volumes are translated from the German, as our continental cousins, especially the Germans, French, and Italians are ever so much better at compiling useful references to scholarly subjects. For some reason, the English and, by example, the Americans seem to have little talent or inclination to take on this kind of work. Although the English, especially the Oxford and Cambridge publishing arms do a very good job at some subjects, especially history. One of the best things about these volumes is that they are 'pocket sized'. One of the worst things about these volumes is that they are pocket sized. While I really appreciate the freedom they give me from quarto-sized pages which catch on my clothing as I balance them on my stomach while trying to read them, they do have very small maps which, I suspect, were a lot bigger in the original German editions. These picture make the Roman Empire fit in a space not much bigger than my palm. Hispania and Jeruselam were never closer! History is such a rich subject that it really cries out for some good guide to help you find your way, especially in those periods and lands which seem to be left out of my grammar school curriculum. To take just two very unhistorical fields as examples, I am listening to music of 15th century from Arab Andalusia. A check of the spread of Islamic expansion up to the time of Columbus shows that it was not so much the Arabs (residents of the Arabian Peninsula), but Islamic northern Africans who probably colonized the Ibearean peninsula, so their music has a lot more in common with Morocco than it does with the Levant. Not that I can really tell the difference between 14th century Moroccan from 14th century Lebanese music, but If I were to explore this further, I would have been spared a few dead ends. Another example is the food of modern Spain which owes almost as much to the Berbers of North Africa as it does to its original Roman colonists or later colonial influences from the Americas and the far east. In general, there is simply no way one can appreciate the complexities of, for example, the political divisions of central Europe from Charlamagne to Napoleon without a map as you will find in these volumes. And, there is much more here than political history, but I feel the authors have wisely concentrated on political history. One does not even need the text, and I rarely read it, unless I happen to be looking at a time and place which is totally beyond my ken. If you read any kind of nonfiction or historical fiction, do yourself a favor and buy these volumes! This excellent resource is no longer out of print. Penguin is publishing soon in Britain an updated two-volume, paperback version (see the Amazon.co.uk site). A one-volume, hardback French version is already available in Canada and France (cheaper in the Amazon.ca site). In both cases, search for the authors, Kinder & Hilgemann. These enjoyable little pocket books take a Cliff Notes approach to history. In a highly abbreviated text, the authors summarize everything from the Cambrian explosion to the Stamp Act of 1763. No important detail is left out. Now this level of historical detail is available in many formats.What really sets the Anchor Atlases apart is the superb maps and diagrams. The power structure of Byzantine Rome, the campaigns of Alexander and Hannibal, 16th century Indian internecine warfare, etc., are all finely laid out in easy-to-understand, surprisingly comprehensive, illustrations. The book's major limitation is it's 1975 publishing date, leaving out not just the past 3 decades of history, but also the significant advances in historical learning that have been made in that time as well. Nonetheless, wonderfully informative and enjoyable. WHY IS THIS OUT OF PRINT????? ?